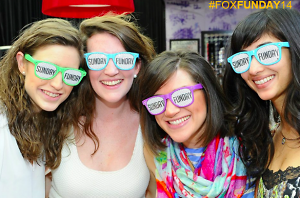 The Team Fox Young Professionals of NYC, “YPs,” will host its fifth annual Sunday Funday at the Bowery Hotel on Sunday, April 27th, from 12:00pm to 3:30pm. Your ticket buys you countless foxy cocktails, delicious food from New York vendors, live music, and a great day filled with great friends, all in support of the Michael J. Fox Foundation for Parkinson’s Research. We’d say this video of last year’s Funday gives you a taste of some of the action you won’t want to miss! Created in 2009 as a casual and fun way for young New Yorkers to bring their friends and colleagues together to raise both awareness of and support for the work of The Michael J. Fox Foundation for Parkinson's Research, Sunday Funday is a fun and casual afternoon of friends coming together in support of a great cause while enjoying food & drinks, live music, and bidding on exciting raffle and silent auction prizes. Having already engaged over 800 young professionals and raised over $75,000 in just four years, Sunday Funday is a social event you'll want to be sure to have on your calendar! This ain’t your typical Sunday brunch, folks. So, get pumped for an epic day and buy your tickets here! Can’t make it and still want to make an impact? You can do so by donating directly to the Team Fox NYC YPs fundraising page.